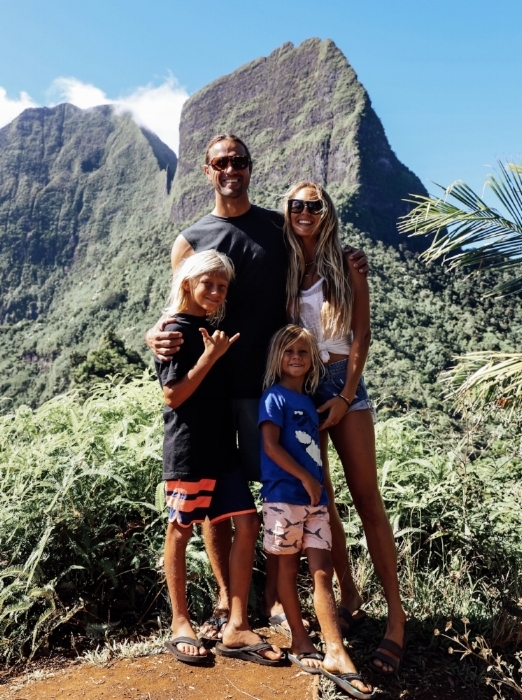 Our little fam had an incredible opportunity to partner up with Tahiti Tourisme to experience the Islands of Tahiti (specifically Moorea) and find some of the most incredible adventures! Usually when we travel, we book a B&B and and look up things we want to do around that area. Woking with Tahiti Tourisme was awesome to get help learning about different activities for the family that we probably wouldn’t have otherwise looked into or done. We knew we only had 5 full days on Moorea and Tahiti Tourisme helped us make the most of that time by setting up an itinerary that was packed with stuff we all loved. 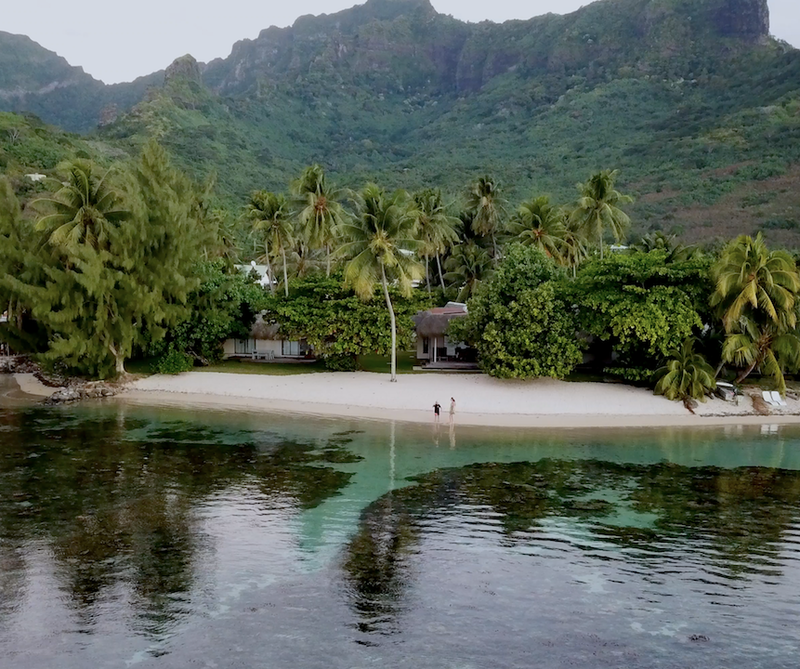 The Islands of Tahiti hold a really special place in our hearts as Shem spent two years in the island paradise and we celebrated our first 3 weeks of marriage (honeymoon) there. This was our first time back together since our honeymoon and it was so cool to be able to share it with our boys. We love the Islands of Tahiti and this post could be turned into a book as there are over 118 islands, so to make it more helpful we’ve broken it down into our favorites that we experienced! 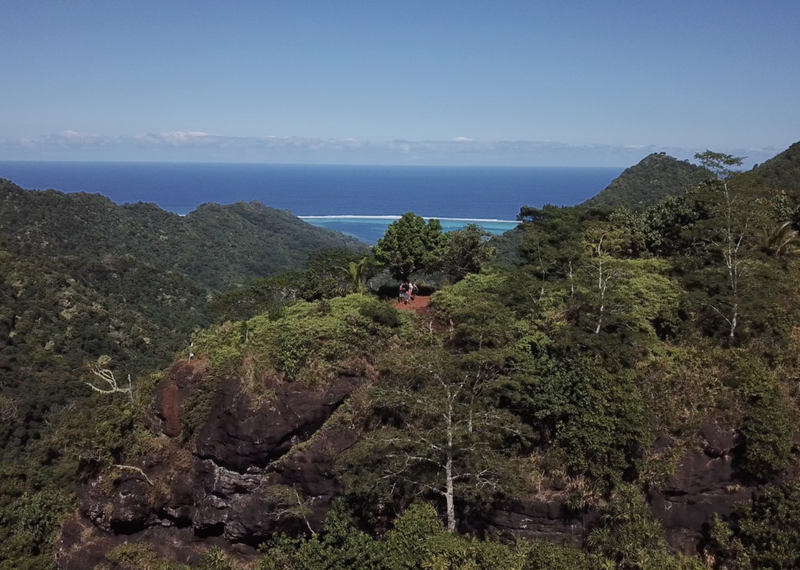 The top of this hike is absolutely stunning, this hike is a must if you have an open morning or evening in Moorea! You can see just about every side of Moorea, and the barrier reef that surrounds the island creating so many different shades of blue! We ate are snacks that we had packed and played on the top for at least an hour just hanging out and enjoying the view while the boys “parcoured” on a small berm under the tree. Total hike time is 3 hours round-trip and definitely worth it. This hike is good for young children, Ira walked the whole way and there are plenty of places to stop of breaks. The sharks and stingrays are completely safe to swim with and there have been no attacks, knowing this put the boys at ease. When we arrived at the spot there were quite a few people in the water so we went to the edge of the sand bar where we had our own little corner. Shem hopped in first letting the boys know that it was safe. The sharks and rays have this puppy dog kind of feel to them where they are just roaming around in their own environment. Swimming with them is such a powerful experience because you can feel how much the ocean belongs to them and that they are sharing it with us each time we enjoy the ocean. When the boys first jumped in they were nervous so they took turns clinging on to our backs. When I got in the water Ira jumped on to my back and he would duck his head under water for quick looks coming back up to make sure we were still ok. After about 5 minutes Tama and Ira were so comfortable. Tama was going off on his own trying to swim around with the sharks at the same pace and Ira was trying to pet the sting rays on his own. This is an experience that everyone should have to understand and appreciate how important the animal life in our oceans are and to just feel how amazing these creatures are . The bonus is that its an activity that the whole family can enjoy. As we pulled to the spot to surf a pod of dolphins started to swim in front of the boat. Tikanui explained that the dolphins like to play with the boats and will swim in front of boats trying to keep up. It was so amazing, there were probably 30 dolphins in the pod and they were jumping and swimming along the side of the boat. Tama and Ira could hardly believe how close we were and how many there were. This is a great tour with great views and if you are looking for waves at any level Tikanui is a great guide and wants everyone to have fun no matter what your level of surfing is. After swimming with the sharks Temoana Tours had a table set up for us in the water off the nearest motu. The food was prepared right there on the beach. As we ate in the water fish swam by and ate food that would fall in the water or come for the food the boys put in the water to draw them closer! 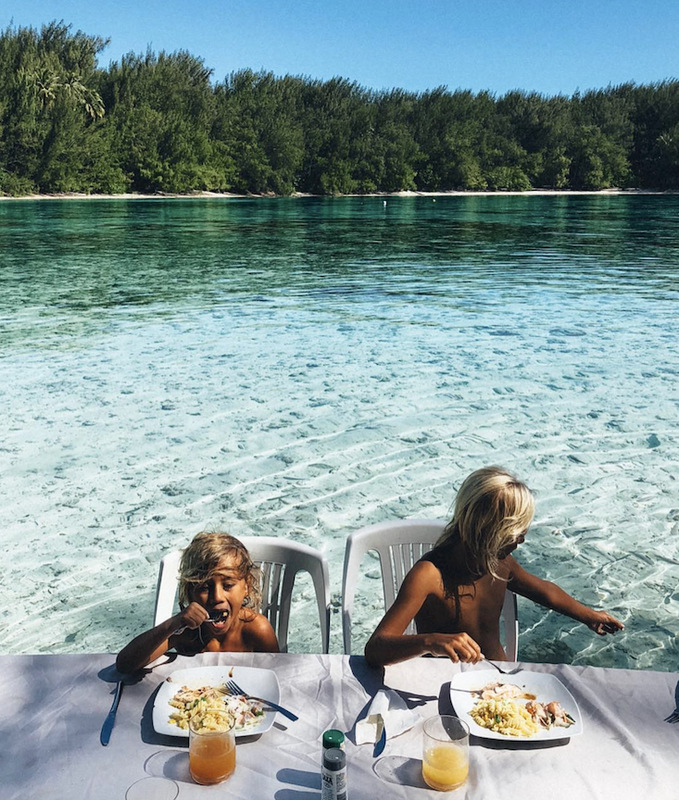 This was our favorite food experience because where in the world is there a table set up in the water and your eating casually as fish and stingrays swim by? We loved this experience, they had so much fresh produce in the buffet and just such a good variety of it. The chef also knew that we were coming so he prepared a few vegan dishes that were so good. Everyone here is so nice and helpful. The show and buffet is set up on the sand facing the hotel and pool. The show was really fun and entertaining, Shem and I both thought it was the best Polynesian show we’ve seen! All the music to all the dances are preformed by a live band. Like all shows they get audience members to participate, this is when I hid. The food was amazing and if you have a night open this is definitely worth checking out as its open to everyone. Laurence owns a small restaurant in Opunohu Bay called the Lilikoi Garden Cafe. On our third night in Tahiti she came to Moorea Beach Lodge and cooked in our kitchen. It was a cool experience cooking and cruising together and learning about her and how she landed in Tahiti being originally from France. She made an assortment of dishes but our favorite was her savory vegan crumble with plantain, sweet potatoes, fresh coconut milk, lite seasoning and shredded coconut, it was so delicious. She sat and ate with us and we just enjoyed her company as we talked story and got to know her. There are small markets and fruit stands all over the island and most of them are in peoples front yards or off to the side of the road. We loved hitting these places up for fresh pineapple! The markets are also great to get shopping supplies to cook your own meals. 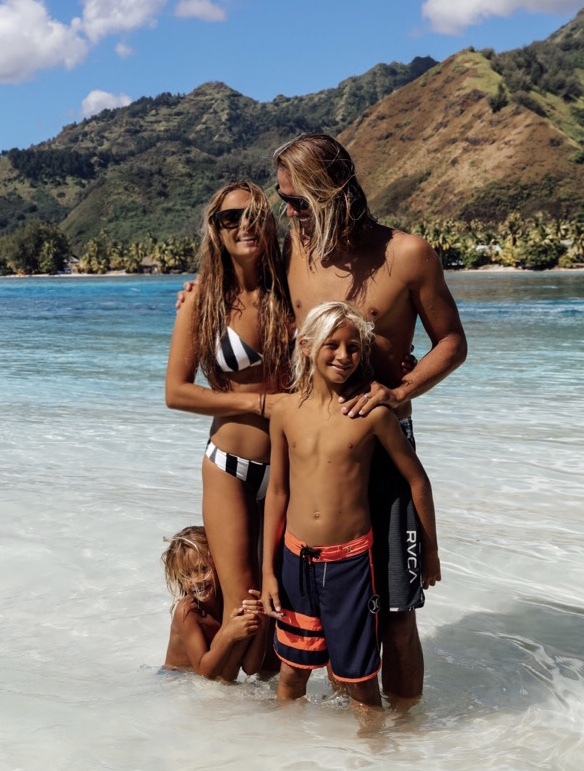 This is a rad little company that is similar to other vacation rentals sites that offer privately owned homes as vacation rentals but specifically in Tahiti. The home we stayed in was incredible and big enough 4 families to stay there comfortably! It made us think of what a great place it could be for a family reunion or getting together with a few friends and or families to stay there all together. The house is conveniently located in Maharepa which is pretty close to the ferry dock and there is a market directly across the street. The yard is huge and the beach is private so you feel like you have Moorea all to yourself. Moorea Beach Lodge is a cool little place that has the feel of Bali meets Polynesia. They mostly have bungalows available but we stayed in the villa that has two bedrooms and its own kitchen so we could prepare our own meals. The beach here is so pretty with white sand and little reef heads all over to explore snorkeling. They also have kayaks available that the kids loved doing in the evenings before dinner. Tahiti Homes and Tahiti Tourisme “Guest Houses” have all different kinds of options for any budget. All the places we stayed had full kitchens which was perfect for being able to prepare our own breakfast, lunch and snacks!